On the the edit page screen you will see an Add Form icon above the content editor, click it. 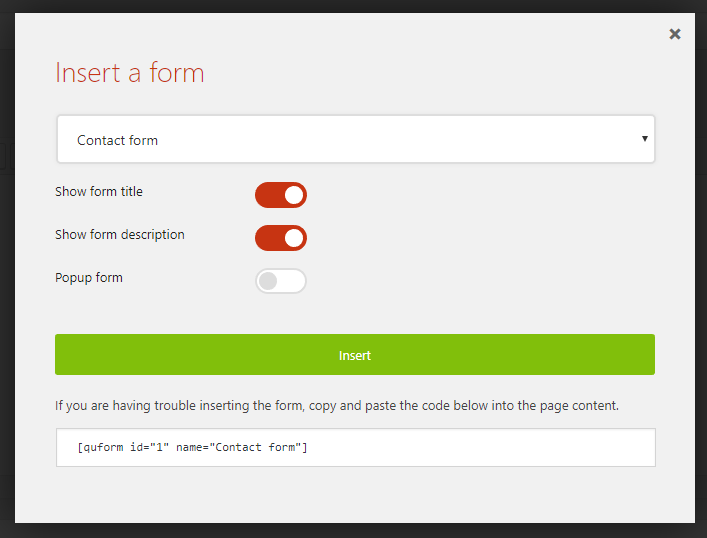 You will be able to choose from a list of all of the saved forms, select the form you want to add and click the Insert button. Save the page and the form will now appear when the page is viewed. The procedure for inserting a form into a post is exactly the same. Go to Appearance → Widgets on the WordPress navigation menu. Find the widget named Quform (or Quform Popup for a popup form) and drag it to your widget-enabled area. Select one of the forms from the list and click Save. Add the code below into the PHP file.